Is your business available on mobile? A nationwide survey by T-Mobile of small business owners has shown that most small businesses are failing to show up on mobile search despite a 400 per cent increase in mobile searches over the last two years. The 'Hidden High-street' research from T-mobile shows that nearly one in two (46%) businesses are still invisible through mobile search, and while more than a third (35%) of consumers use internet search engines on their mobiles to search for local businesses, (increasing to 45 per cent of consumers aged 16-34) just 10 per cent of small businesses have ensured their name comes up in relevant online searches. Businesses that have made sure they are easy to find for mobile users are reaping the benefits and stealing the march on their competitors. 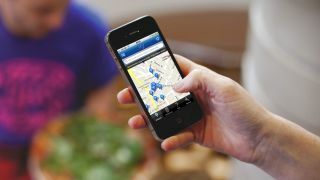 Of those who have increased visibility of their business through mobile search, 68 per cent have seen benefits over the past year – 44 per cent had more customer enquiries, almost a quarter (24 per cent) experienced increased footfall and 15 per cent directly attributed a growth in sales to being visible to customers on their mobiles. Martin Stiven, VP Business at T-Mobile explains: "The summer months can be a really busy time for many small businesses in the UK and these companies need to be doing everything they can to reach new customers. We're seeing a sharp rise in the usage of smartphones by small businesses but they're not always thinking about how their customers are using their phones to find them. The extent of the hidden high-street is worrying and especially when you're in direct competition with other similar businesses in your area there's a huge advantage in making yourself visible through mobile search."